“Stand back” firefighters shouted, as they searched for signs of life amid the rubble in Amatrice. After some digging, legs are seen poking through the debris, then a girl is pulled out alive amid cheers from the rescue workers. 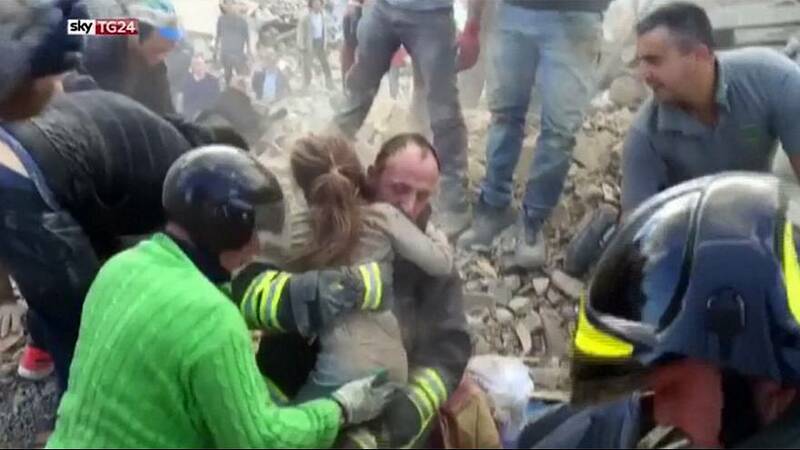 Ten-year-old Giulia rescued from the remains of a collapsed building 17 hours after the earthquake first struck. No information has been given about the fate of her family. At least 215 people have been rescued so far. While hopes of finding people alive are diminishing, in 2009, survivors were pulled from the wreckage of the L’Aquila earthquake up to 72 hours afterwards, firefighters’ spokesman Luca Cari recalled.